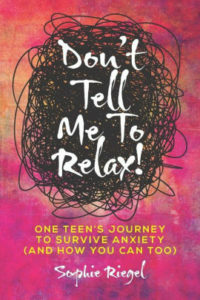 In addition to being a published author, the Duke-bound high school senior is also the board presentment of Here.Now, a teen-driven movement to reduce stigma and increase awareness of mental health in the Jewish community, in partnership with The Jewish Board. She is also the recipient of the Holocaust Memorial & Tolerance Center of Nassau County’s Friedlander Upstander Award. Join us on Wednesday, February 27th at 5:00 pm at Hear Them Roar – Amplifying Young Voices to learn from Sophie and other women who are transforming the culture for young women and girls.